Like last year, Madden NFL 18 is another one of Madden’s down years. As players of the series will know, there are years when sweeping changes hit the game, and there are years when the game feels more like a roster update. 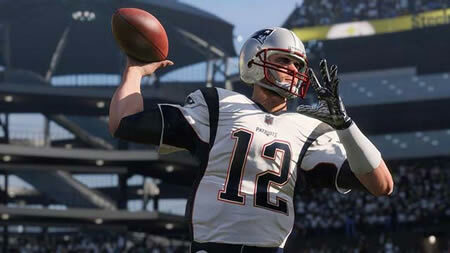 While Madden NFL 18 can certainly be looked at as more than a roster update with tweaks and changes to core game modes, the introduction of a narrative driven story mode for the first time in the series, and marking a transition to DICE’s Frostbite Engine that powers many EA games, Madden 18 does not feel like much of an upgrade over Madden 17 when looking at it across the board. What’s been included this year feel like risk averse additions to the game. 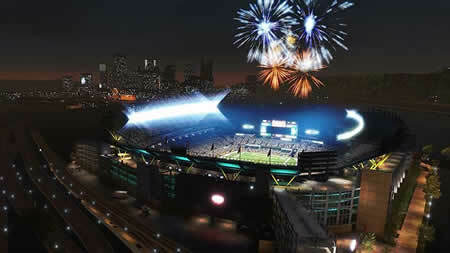 EA Tiburon takes very little chance in improving the annual franchise in meaningful ways this year when it comes to gameplay features, and even the new Longshot story mode lands with a thud as it just doesn’t have the type of quality that you’d expect from a single player campaign-like experience in terms of writing or presentation, despite desperately wanting to be something that picks at the player’s emotions, telling the story of two NFL hopefuls. While it’s a first run for EA and not quite as shlocky as NBA 2K’s Livin’ Da Dream mode from 2016, Longshot feels like a take it or leave it mode. 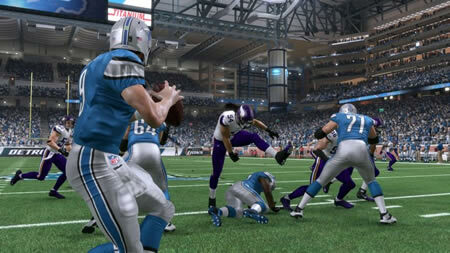 While some might enjoy it as a break from the core Madden modes, there’s not much substance here. With more cinematic meat on its bones than actual gameplay, Longshot can wear out its welcome pretty quickly. Looking past this highly touted new mode, you really start to look at the engine switch as the feature for the game that’s supposed to sell it. 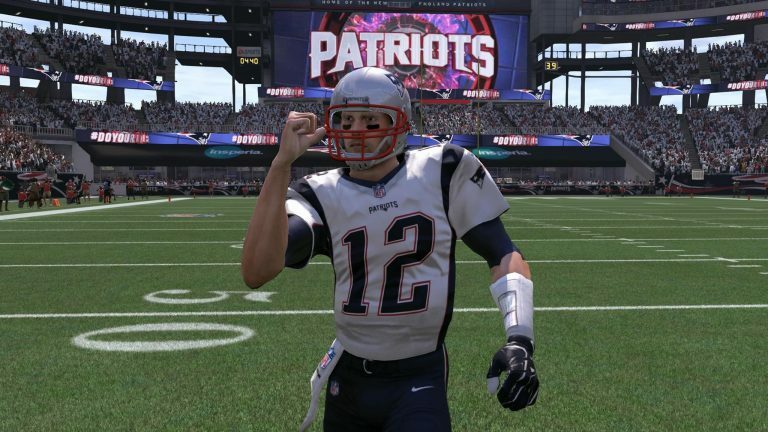 Unfortunately, the graphical improvements that we see from Frostbite in Madden 18 aren’t many. Improved lighting is probably the most evident change. While things like character models and animations look and feel much like they did last year. Some player face models seem to have gotten a visual bump, but it’s certainly not the type of generational leap that we saw a few years back. Perhaps giving Tiburon a few more years to work with Frostbite as they push further away from the Xbox 360 and PS3 generation of consoles, we’ll continue to see improvements across the board. This year, however, is not a year that will make your jaw drop. In fact, many of the small things and visual glitches that we’ve seen in previous Madden games still haven’t been fixed. Awkward player animations, tackling that feels like the players are magnetized, and weird ball and player physics that crop up from time to time are evident throughout the game. Franchise Modes are a big thing for sports games, and EA continues to really ignore this aspect of their game… at least in adding new features and expanding on it. Franchise mode this year really doesn’t have any standout improvements to highlight. Franchise starting points are one, but it’s such a slight tweak to the formula that it really only changes the game in a marginal way. Customizable Draft Boards also are a new addition to this mode, allowing auto-drafters some chance at building a solid team. While it hasn’t been improved significantly with features that some of the fan base have been clamoring for in terms of depth, Madden 18’s CFM is certainly serviceable. The mode offers multi-year progression in online or offline franchises, with the option to do fantasy drafts and manage many of the aspects of your team’s franchise. With the lack of additions to this mode compared to last year, it really feels like EA is funneling players towards Madden Ultimate Team where all that sweet, sweet microtransaction money can be made. As we know many players want to get cheap madden nfl 18 coins to get extra profits in Madden Ultimate Team? If that’s what you want, Mmocs.com is the right store you might like. Get madden 18 coins now with special Halloween promotion. Hey, guys, we are loving what EA has done so far with Madden 18 Mobile. Many of us here in the Mmocs.com office have spent a ton of time with the game and have been making great use of our Madden 18 Mobile Coins and we want to share a few tips with you on how you can get the most out of your players and your Madden Mobile Coins this year. Ok so in theory if you have a ton of Madden 18 Mobile Coins, all you need to do is go and buy a load of 90 plus rated players and you will be unstoppable! Well, that is not actually always the case, be sure to look at each individual stat. For example, a QB in Madden 18 Mobile, even if they are rated high, has to have a high throw accuracy rating or they are not worth it! The best bit of advice we can give you if you have a lot of Mobile Coins is that you purchase players who are rated in the 80 range. By training these types of player, you can really make them monsters on the field. You use Elites to train them and you will be amazed at how you can take a good player and make them great. Training players is going to be huge in Madden 18 and those who train their players best will have the best teams, rather than those who just try to buy all the best players. Madden 18 Mobile has a leveling system like many other mobile card based games. By this, we mean that the first few levels you will just fly by, but then when you start to get into the 80’s and 90’s. You really do have to grind and have patience as it can be very time consuming. I’ve played 900 games of FIFAs 17 and 18 over the last year. Just to reaffirm that, in old-school Vidiprinter speak: Nine. Hundred. Games. “While I’m still way off competing for six figures at eSports events, the sheer wealth of time spent in Career and Ultimate Team modes, coupled with behind-closed-doors access to the EA Canada development team, have enabled me to pick up some sneaky advanced tips – tips which I’m now going to share with you. There have been claims that FIFA 18’s defending model is broken – mostly by FIFA 17 players unaware of the new ‘hard tackle’, which is halfway between a standing tackle and a slide. In fact, once you master that new tackle, it’s much improved. The key is to hold down the tackle button for slightly longer than a second before making a challenge, rather than repeatedly tapping it as with previous years. Think of it as charging up a Street Fighter move; it’s about reading the game in advance, rather than reacting to it. There are also ways you can increase your chances of making key blocks in and around the box, Burnley style. One is to deploy a 4-4-2 (2) formation with two CDMs taller than 6ft 2in. Positionally they’ll help shield your centre-backs, and their sheer size means outstretched legs deflect numerous goalbound shots away. It’s like a Tony Pulis dream. Also experiment in using the right stick, rather than L1/LB, to switch between players. This takes the choice of who you control out of the AI’s hands, instead placing it in yours. Tucked away in the Settings menu is an option which, when changed from default, will immediately increase the number of goals you score. Handballs were introduced in FIFA 11 but ‘removed’ a year later after fans complained that the engine couldn’t differentiate between deliberate and accidental. Except they weren’t removed at all – merely switched off unless the game owner decided otherwise. To flick them back on, head to Customise, then Settings, then Games Settings, then Rules. ‘Handball’ is the fourth option down. Most offline FIFA players set the difficulty at a level where they have more shots than their AI opposition, meaning more time spent in an opponent’s box in any given game – and therefore more chance of ball striking hand. When it does, you earn a penalty every time – we’re seeing one in every five or six games. The downside is you’ll occasionally concede one too, but it’s definitely a change that benefits human player far more than AI. There’s a simple reason Asmir Begovic and Jack Butland are considered FIFA’s most overpowered Prem keepers: at 6ft 6in and 6ft 5in respectively, their height enables them to reach shots and crosses that their stats suggest should be beyond them. Fraser Forster, at 6ft 7in, is also a colossus despite his 78 OVR. 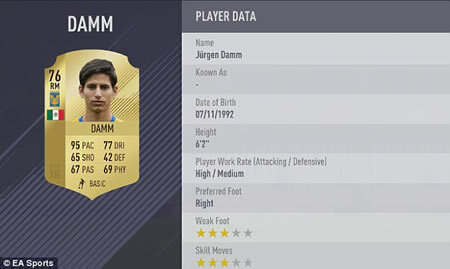 From the other major leagues, Costel Pantilimon (La Liga, 6ft 7in), Michael Esser (Bundesliga, 6ft 5in) and Gianluigi Donnarumma (Calcio A, 6ft 5in) are all worth consideration for your Career Mode and/or FUT squad. For more information involving FIFA 18 , head over to our FIFA 18 guide center at mmocs.com, at which you’ll find info about the common and useful guides how to earn more FIFA 18 Coins, the very best fifa 18 guides and latest news. EA Sports predicted the Tampa Bay Lightning to win the Stanley Cup after defeating the Edmonton Oilers in the Stanley Cup Final. The Penguins are projected to win the Presidents’ Trophy for the first time since 1992-93, but lose to the Lightning in the Eastern Conference Final. The game predicts the Oilers to defeat the Minnesota Wild in the Western Conference Final. NHL 18 projects the Oilers to reach the Cup Final thanks to a huge season from center Connor McDavid, who will win the Hart and Art Ross trophies, and the Ted Lindsay Award for the second straight season. It also predicts Lightning forward Nikita Kucherov will win the Maurice Richard Trophy as the League’s top regular-season goal scorer, as well as the Conn Smythe Trophy for MVP of the Stanley Cup Playoffs. Boston Bruins forward Patrice Bergeron is projected to repeat as Selke Trophy winner for best defensive forward, which would be his fifth time winning the award, Ottawa Senators defenseman Erik Karlsson is predicted to earn his third Norris Trophy and Montreal Canadiens goalie Carey Price is projected to win the Vezina Trophy for the second time. The simulation for NHL 17 accurately predicted the Nashville Predators to win the Western Conference. The game had the Predators defeating the Canadiens in the Cup Final; in reality, they lost to the Penguins in six games. NBA 2K18 is a deep game with a variety of features, and most of them are well done, but the best of the lot are MyGM and MyLeague. When it comes to functionality, depth, innovation, immersion, and fun, every 2K fan should be giving these modes a look. If you’re unaware of what MyGM and MyLeague offer, here are 10 qualities that make it the class of the NBA 2K18 feature set. MyGM and MyLeague are both franchise modes at the root, but the former is purely a single-player journey with a storyline. It blends elements of MyCareer, but it doesn’t lose the flexibility and team-building concepts that make franchise modes fun. 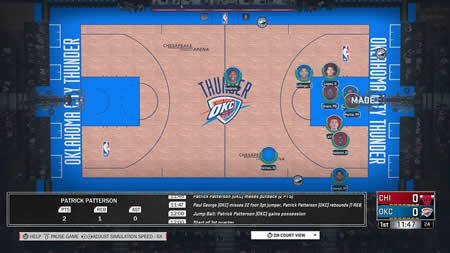 MyLeague was once described to me as “the ultimate sandbox tool.” Each year since NBA 2K15, the mode has lived up to that description more and more. No other sports video game allows you to have two different franchise mode experiences. MyGM and MyLeague offer more options and unique concepts than any other sports video game. Sony’s MLB The Show is the closest to MyGM and MyLeague, but its franchise mode is still a distant second. It’s not the sprawling, widespread concept that The Neighborhood is, but in their own space, MyGM and MyLeague deliver admirable new tech and ideas. Despite the loss of collegiate sports, 2K implemented the ability to create and share draft classes to keep that element of the franchise mode in order. Unfortunately, MyGM doesn’t allow you to use custom draft classes in Year 1 of the journey this year, but that’s like a slight scratch on the hood of a Rolls Royce. No other sports video game gives you as much control over draft classes. This year’s game delivers real-life advanced statistics that can be viewed in game, and the data can be turned into a chart used for your own education or as a team-building tool within the game. Playing online has obviously been a great thing for gaming overall, but sometimes it’s nice to find a mode that you can enjoy that doesn’t require cooperation from complete strangers. MyGM is strictly single player, but MyLeague is versatile. You can control one or all of the teams in the league. There’s an online version of the mode, though it’s missing a few of the features offline gamers enjoy. Still, it’s a more verbose online franchise mode experience than you can find with other sports video games. There’s also a couch play option. What’s that? It’s a simple concept that allows you and a friend or family member to play through a number of NBA seasons with you. To this day, my most rewarding gaming experiences have come from this style of play. MyLeague makes me feel like I’m an 11-year-old again playing sports video games with my brother, only I don’t have to manually keep up with the stats like I did before, and my son is now my partner in crime. If you think playing NBA 2K18 on Superstar difficulty is too easy, you’re either being less than truthful or some kind of virtual hoops savant. 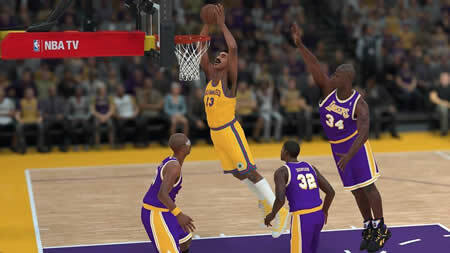 The mode delivers a solid challenge that will render realistic statistics and standings if you play through the season. Madden 18 is a game that intrigues even casual American football fans, especially now the season is well underway. That’s why we’ve created a guide listing the best beginner Madden 18 tips and tricks to strengthen your defence and turn your offence into an unstoppable machine. The most common mistake a lot of first time Madden players make is to fly through the playbook of any team and look for a move to hurl the football as far as possible. This is understandable as there’s few things as thrilling as lobbing a Hail Mary and actually pulling it off, but the key to any smart game of football is patience and to be diverse in your approach. No matter which team you choose you’re going to be slightly intimidated by how many plays are on offer, especially as some have over 500 variations. Many of these are offshoots of the same idea though, so taking a few minutes to find a few that work for you will help no end at first. From there stick to the basics. On your first or second down try short passes or running the ball to make up the necessary yards and slowly push the opposition back. If you struggle and find yourself on third down a more daring strategy may be needed, but if it’s early in the game you’re better off sticking to this formula: small, productive moves to secure 10 yards and then repeat. If you do get to fourth down and aren’t in need of anything spectacular always punt the ball away, too. Trying anything else is just going to put you in a dangerous position and back you into a corner. So remember. Start with running backs and smart, easy to intercept passes and build from there. You’ll find yourself learning the plays much faster this way as well. Formations are intimidating. If you’re not sure how they work, it will put you off almost instantly but understanding the pros and cons of each is essential if you want to have a productive game of football. If you’re truly new to the series you’re best off starting with a team like the Miami Dolphins who more often than not stick to three formations. You can execute any play regardless what formation you have, but certain lineups are going to be more successful depending what you’re trying to achieve. It’s best to use the I Formation, Strong I or Weak I to run the ball and Shotgun if you feel the need to go for a long pass. If you’re looking for a more balanced approach that lets you think more on your feet, always use Singleback. There are more options which will usually lean slightly more towards running the ball or passing, but as general rule the above will help your game no end. Naturally you have defensive formations on top of this, and the key ones are 4-3 – which will give you coverage against most plays – 4-4 – to slow down running plays and potentially blitz the QB – and 3-4 – which will target an opponent’s running back. So you’ve chosen your formation and play and you’re feeling pretty good about the upcoming down. The thing is, that’s really where the game starts. Before the ball has even be handed off it’s imperative to look at your opponent and see how its defence has lined up and then try to figure out if your idea is going to work. There’s every chance they’ve read you perfectly and are set up to stop you making any gains. There’s no hard and fast rule with this, but observe the positioning of their linebackers to figure out how it matches up with your play. If they seem perilously close to the line of scrimmage there’s a good chance they’re aiming for a blitz, or the eradication of your QB. If they seemed more relaxed with their safeties sitting deep, it’s fair to assume they think you’re going to pass. This is where you have to be smart. A quick press of R3 will take you to an in-play menu where you can call an audible to rearrange your line-up to give you the upper hand. You can also call hot routes which will specifically let you change the pathway of a receiver to circumvent the defence immediately. A lot of this will be trial and error at first as you start learning how to read another team and understanding what is and isn’t possible. It is, however, crucial when you get further into the game. Naturally passing the ball is incredibly important in Madden but it’s not just a case of tapping a button and seeing it perfectly fall into your receiver’s hands. Instead you have to learn the system and work out what each pass means. Where Madden 18 is concerned EA has delayed the amount of time it takes for a receiver to get into the right position so being patient and holding off an extra half-second before allowing your QB to make an attempt will make all the difference. There’s also numerous types of passes you can unleash and, again, choosing the right one for the right situation could be the reason you complete a play. More news that may be released for Madden 18 should be made available in the near future. Follow mmocs.com on Facebook and Twitter and look for the news page for the latest Madden 18 news. Also, you can find some discount information for cheap Madden NFL 18 Coins. Pace is a massive part of FIFA, and if you’re building an Ultimate Team, you’ll often need the quickest players to counter everyone else’s speedsters. Even the FIFA esports professionals use teams with fast players, so that should give you an idea of what you should be doing for your matches at home. Be warned though, unless you’re lucky enough to open them in a pack, the players on this list will be super pricey on the transfer market. 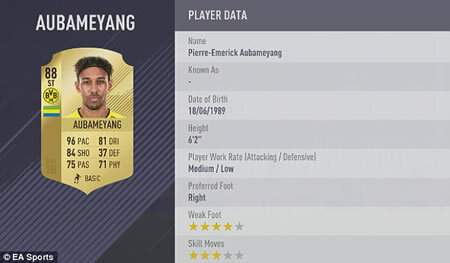 Hands down the fastest player in the world is Pierre-Emerick Aubameyang. His normal card has a pace of 96. 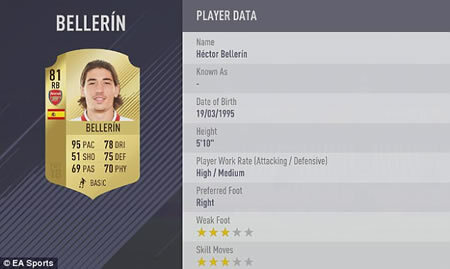 However, he also has an upgraded In Form where it’s bumped up even further to 97. He’s not just all about the speed either, as his attacking stats are great too. 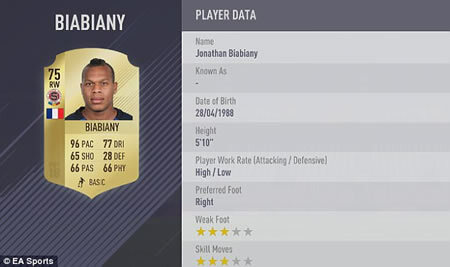 Challenging for Aubameyang’s crown right now is Jonathan Biabiany. The Frenchman plays for Sparta Prague, and they’re definitely glad of his pace. His stats aren’t quite as good as Aubameyang’s, but he can certainly dribble down the wing and put a cross in. Of course, not all the fastest players have gold cards. Ernest Asante is a Ghanaian winger who plays for Danish team FC Nordsjælland. 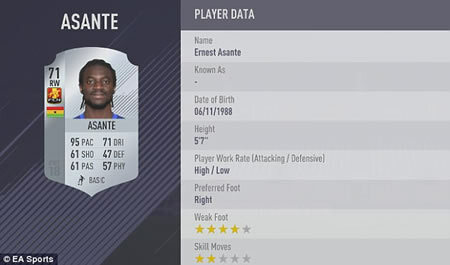 The 28 year old has a huge 95 pace in FIFA 18, though his other stats don’t quite stack up. Mathis Bolly, is another lesser known player, but his German second division club SpVgg Greuther Furth certainly know all about him. 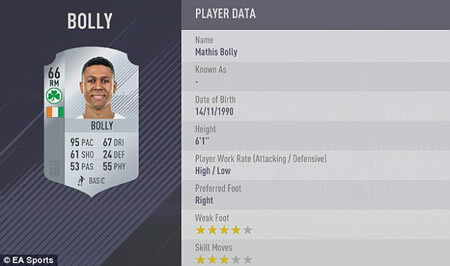 The right midfielder also has a pace of 95, and could be an interesting addition to a silver team. Back to the gold players now with Jurgen Damm, a Mexican player who plays for Liga MX club Tigres UANL. He’s also got a pace of 95, and it appears the majority of fastest players play on the right flank. The first defender on the list, Arsenal’s Bellerin has proved over the past few years that he’s one of the fastest players in the Premier League. The right back from Spain has a pace of 95, and is often a hot commodity on the transfer market. Almost everyone in the NBA 2K community is discussing virtual currency to some degree. It has been a hot-button topic since the game was released on September 15. Many gamers have balked at the notion of spending real money to upgrade their MyPlayer, thus many fans are thirsty to find the best ways to earn VC without dipping into their wallets. I’ve found three efficient and dependable ways to earn VC without playing an actual game. MyLeague can be one of the most lucrative modes in the game. Actually playing games can earn you close to 1,000 VC per contest. However, this article is about earning quickly and efficiently. 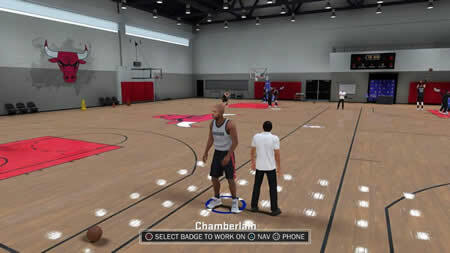 Did you know that you still earn VC in MyLeague even when you simulate a game? Start a MyLeague with any team. Set the quarter length to 12 minutes. The difficulty setting doesn’t matter. Go to the in-mode calendar and simulate a game using Simcast Live. Make sure you turn the sim speed up to 6X. Whether you participate in the simulation or not, you’ll still earn 400 VC for every game. It doesn’t even matter if your team wins or loses. Gamers who work or are in school can simply start a MyLeague game each morning, afternoon or evening before they leave for the day. The simulation doesn’t require you to press any buttons to complete. When you return, you’ll have earned your VC. You could repeat the process before you go to bed. It’s an easy way to ensure you earn at least 800 VC every day. If you’re concerned about your console being on all day, all you need to do is set it to go into sleep mode after being idle for 2 hours. The simulation doesn’t take that long to complete. If you’re home, but just can’t get on the sticks at the time, you can potentially sim through a number of games earning 400 VC each time. If you complete an entire MyLeague season using this strategy, you will earn yourself 24,600 VC. If you’re complaining about VC and don’t have the FREE MyNBA 2K18 application on your phone, you’re like a thirsty man at a water fountain who refuses to push the little button to have a drink. The application practically gives you VC for simply logging on. There are prediction games based on the real NBA that you can play as well, and those carry more VC earning options. It’s possible to earn as much as 1,000 VC per day. Last year’s game featured 38 episodes of 2KTV. Each of those episodes gives gamers an opportunity to earn VC for answering questions and participating in polls. You can usually earn close to 400 VC from the show, and it’s pretty informative overall. The show runs once a week. If you used all three of these strategies in concert, you can realistically earn 13,000 VC per week without playing a single game. That’s not even counting what you can earn from picking up the controller and actually playing any of the VC-earning modes. As long as you want to have Cheap NBA 2K18 MT, you can come to our site Mmocs.com – a dependable online coins seller. As with previous iterations of the game, Madden 18 looks to be introducing the Ultimate Team Most Feared players once again through the upcoming Halloween update. In this full Madden 18 Most Feared guide, we’ll be going over everything you can expect once the Most Feared update eventually launches for the game, as well as our best guesses as to when the event will start. EA recently told us that the MUT Most Feared Halloween update is set to begin very shortly for Madden 18, meaning you can likely expect it to launch worldwide on either Thursday, October 18, or on Friday, October 19. The latter release date seems more likely, as it’d let the MUT Halloween event launch right when the weekend hits, letting the maximum amount of players jump on in the action as soon as possible. As for what the MUT 18 Halloween event will actually contain, we should look back to past events in previous Madden games for some hints. 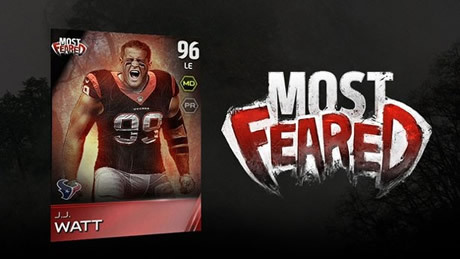 The MUT Most Feared players will be arriving as soon as the Halloween event fully kicks off, at which point plenty of brand new player cards will be put into the game for players to collect. 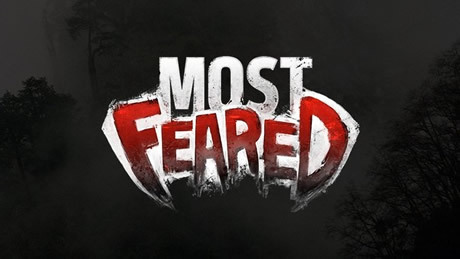 These new players are known as the ‘Most Feared’ variety, and will likely come in both the Gold and Elite tiers, as they have done in previous Madden games. In Madden 17 for example, if you collected all of the MUT Most Feared players together in a single set, you’d be able to earn yourself a 94 OVR Most Feared Brian Urlacher card, for use both during and after the Halloween event wrapped up. As for other MUT Most Feared players, back in Madden 17 you’d be able to collect many other Most Feared players as soon as the event started. Once you’d got your hands on these Most Feared players, there would be a very limited period of time (October 29-31) during which Gold Most Feared players would be upgraded to 92 OVR, while Elite Most Feared would upgrade to a 95 OVR. This would only happen during those specific dates however, and afterwards, all the Most Feared players would decrease back to their original ratings, except for the Most Feared Brian Urlacher card. Back in Madden 17 there were MUT Most Feared solo challenges, which you could take on at any time during the event in order to gain certain rewards that couldn’t be found anywhere else in the game. These were the Trick or Treat, Creepy, and Horror solo challenges, and we’ve outlined the rewards for each just below. We suspect that these Most Feared solo challenges will return in a different form in Madden 18’s Most Feared event, although with a different amount of challenges, and different rewards. It’s entirely possible that an upgraded Brian Urlacher card will return for the event, but we’ll have to wait until the event launches to find out for certain. How to build an Ultimate Team in FIFA 18, achieve great chemistry, earn FIFA 18 Coins quickly and stand the best chance of success when playing online. Get the best cheap players for Ultimate Team and learn about OTW cards. Squad Building Challenges explained, and FUT 18 Card Packs detailed. Squad Battles, How to Beat Teams on Legendary. Ultimate Scream event detailed. In FIFA 18 Ultimate Team FIFA Coins are key. You need them to buy players and consumables, and learning how to get as many as possible is essential if you want to avoid spending any real world money. In this FIFA 18 Ultimate Team How to Earn FIFA Coins guide we’ll detail the best ways to earn FIFA coins easily in FIFA 18 Ultimate Team, and go over the activities you can repeat over and over to ensure your FIFA 18 coin balance is always as high as possible. This FIFA 18 Ultimate Team guide is focused on how to earn FIFA Coins quickly and easily. We’ll go over the various daily and weekly activities you can take part in, plus give some tips on how to play the transfer market to make more FIFA Coins. We’ve got a full guide for Squad Battles in FIFA 18, but the short of it is that taking part in the weekly squad battles can earn you a LOT of FIFA Coins. Each match earns you coins and the better you do the higher you’ll rank, and the better the prizes you win will be. Get involved. It’s worth it. FIFA 18 Ultimate Team makes building squads its own puzzle mini game. Squad Building Challenges in FIFA 18 Ultimate Team are added all the time (some with time limits, some without) and task you with building a squad to meet certain criteria. Each challenge includes numerous puzzles, each with its own reward (sometimes tradable, sometimes not) before you earn the big prize for completing the whole challenge. If you’ve built up a large roster of players you should be able to complete a number of these fairly easily and potentially earn big FIFA Coin rewards or players that can be sold for coins. Putting suitable players for live Squad Building Challenges onto the transfer market should also help you bag some FIFA Coins. We’d suggest that Squad Building challenges are not as much fun to play as Squad Battles, but they can be played when you don’t have access to a console or PC to play FIFA 18. The FIFA 18 web app is free to use if you have an EA account and have played FIFA 18. Every day you log in you’ll get a FIFA Coin reward of some sort. The web app is also a useful way to take part in the Squad Building Challenges and manage your transfers if you’re away from you console or gaming PC. Take on the Team of the Week and you’ll earn a nice sum of FIFA Coins. The harder the difficulty you choose, the more coins you’ll earn. This is obvious, but if you have players sat around you can either use them to complete Squad Building Challenges or sell them (as long as they are tradable). List every play you don’t need and make some coins. FIFA 18 Ultimate Team’s Daily Objectives and Weekly Objectives are an easy way to earn FIFA Coin rewards. Each time you boot up FIFA 18, check out the objectives and see if there any any you can complete while playing your usual games. Some rewards are FIFA Coins and others are card packs, but pack contents can be sold on the transfer market.